Post-studio practice and high production value art transformed art at the end of the last century, bringing to a close the slow deskilling of studio practice. With deskilling came a degradation of work, a suspicion of craft and a premium on time. Through deskilling, studio mastery became synonymous with tedium and lack of intellectual rigor, and despite the avant-garde’s socialist sympathies, distanced modernism from labour altogether. But with the new millennium a generation of artists has emerged who borrow and transform aspects of craftwork, reskilling, as it were, a studio bereft of ‘medium’ proficiency. Perhaps in the spirit of 19th Century craft movements, driven and inspired as they were by the industrial revolution, artists now revisit craft as a place from which to critique or react to the post-digital, consumerism, condensed time and globalism. But now, rather than embody a medieval utopian fantasy, a nostalgia for the more recent 1970s, its politics and rebellion, prevails. Today, younger artists practice a unique form of parasitism between media, incorporating craft’s techniques and mediums into their art practice as a type of new vernacular “language”. Artists presented within this exhibition do not fall exclusively or explicitly under normative ideas of craft, rather, their interests and histories are diverse, yet speak to many of the key concerns contained within contemporary craft discourse. In particular, their work investigates such issues as the utopian and the banal, the sublime and the abject, the beautiful and the grotesque via the process and materiality of craft. Michael Dinges lives and works in Chicago. He has exhibited at Bodybuilder & Sportsmen Gallery, Chicago; Mary and Leigh Block Museum, Northwestern University, Illinois; and the Museum of Contemporary Art, Chicago. He is represented by Packer Schopf Gallery, Chicago. Scott Fife has been exhibiting his sculptures and drawings since 1976 in galleries in Chicago, Seattle, Los Angeles and Vancouver, BC and in museums including the Frye Museum. Seattle, the Tacoma Art Museum, the Boise Art Museum, the Northwest Museum of Arts and Culture, Spokane. His work is currently included in the 2008 Art on Paper Biennial at the Weatherspoon Museum of Art in Greensboro, North Carolina. The Missoula Art Museum in Montana will host a solo show of his work in 2009 and he will have a solo gallery exhibition at Platform in September of 2009. Scott lives and works in Seattle. Megan Gregory is an artist who lives and works in Victoria, Canada. Sculptor Anna Sew Hoy (Los Angeles) makes work from materials scavenged from the streets of her urban environment. 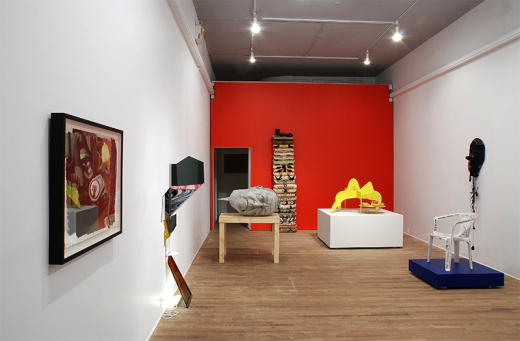 The resulting agglomerations of natural and manufactured objects create forms that are funny, meditative, and poignant. She received her BFA from the School of Visual Arts in New York. Her work has been included in group exhibitions such as_ One Way or Another_ at the Asia Society in New York and Diamond Hand Grenade at Midway Contemporary Art in Minneapolis. Sew Hoy is represented by Karyn Lovegrove Gallery, Los Angeles. 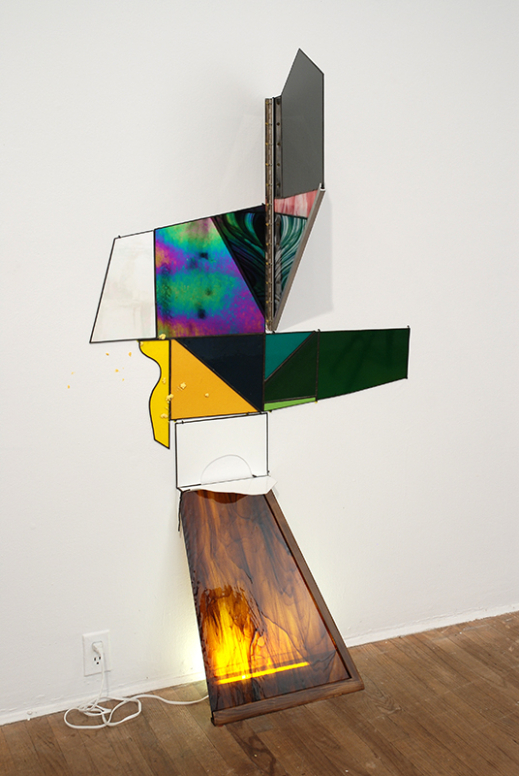 Devon Knowles’ practice deals with modes of manufacturing and the optical. Addressed specifically are current and historical models of production and the physicalities of light and colour. She received her MFA from the University of Victoria in 2008 and holds a BA from the University of Guelph. Recently her work was shown at the Or Gallery, and featured as the centerfold for cmagazine’s issue 96/ winter 2007 publication. She has exhibited at HQ, Brooklyn, NY, Production Studio Exhibitions, Vancouver, The Ministry of Casual Living, Victoria and Solo Exhibition, Toronto. She has also contributed works to the Contemporary Art Gallery, Vancouver, Mercer Union and Art Metropole, Toronto. Liz Magor is an Associate Professor in Visual Arts. She uses a variety of materials to make sculptural objects and installations. She attended Parson’s School of Design in New York, as well as University of British Columbia and Vancouver School of Art. Since the mid-70’s Liz has been exhibiting in Canada and in high profile international events, including Documenta 8, The Venice Biennale and the Sydney Biennale. Her work is representational, and usually involves ordinary or familiar objects refashioned and presented in an altered context. Damian Moppett was born in Calgary, Alberta in 1969. He currently lives and works in Vancouver, British Columbia. Appropriating images from a wide range of materials, William O’Brien’s artwork comments on media, the structure of information, and his ideas about sexuality. Through drawings, fiber art, video, paintings, and installations, O’Brien attempts to create an authentic relationship between his art and his life. O’Brien is represented by Shane Campbell Gallery, Chicago, and Marianne Boeskey Gallery, New York.